INTERNeX Canada: Review of the year: January, February and March! In the middle of the first week of the last month of the year is time to start reviewing the most important things that have happened during this year! New Year brought two new interns at INTERNeX office! 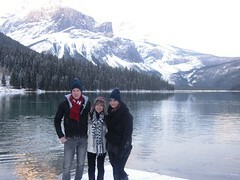 Hannes, from Germany who stayed here 4 months and Petra from The Netherlands who worked with us during 30 weeks! 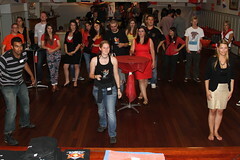 It was a great Video of the week which resumes perfectly our weekly pub nights! Lydia went to the Sun peak trip and wrote a great review! If you want to know more about Canada and laugh a little bit, don’t miss out this two articles of Fun Facts about Canada, one and two. It was the month our new website was launched! They enjoyed a great Super bowl party at the Blarney Stone! Party!! Definitely you should check this video out about Vancouver in winter and summer! Awesome! Before Lydia left our office after 7 months with us 😦 , she wrote an interesting article about places to visit for free. Lies, from Belgium started her internship during 30 weeks. March was a funny month full of events like Laser tag, the famous Irish festivity St. Patrick’s Day, and awesome Latin dinner night in La casita, in the charming Gastown! 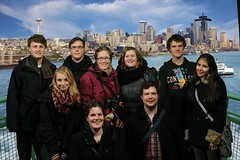 But the best of all was the amazing 3 days Seattle trip! And the Seattle after party!!! I am sure they had fun!! I wasn’t here but I’m sure they all had a good time! When I first met Tim in 2006, INTERNeX was already a very successful company, but with an awful website. Tim knew that it wasn’t very good and was interested in changing it. Unfortunately, I did not impress him with my first, and maybe too honest, pitch because I didn’t know how the Canadian Culture worked. But our paths crossed a couple times and at some point I was able to introduce him to a tool that led to the first improved INTERNeX website. Under the domain internexcanada.com Tim finally had a website he was able to update himself, and to modify it to his liking. In April 2007, I had to go back to Berlin because my work permit expired, but I stayed in contact and gave some advice here and there. It was in November 2007 when Tim visited me in Berlin and I remember when we were sitting in a Taxi on the way to the airport when we talked about a position at INTERNeX. He also mentioned that I needed to do something besides improving the IT and so I became the Placement Manager for the construction program too. Hence, I started in March 2008 as the IT and Placement Manager for INTERNeX. 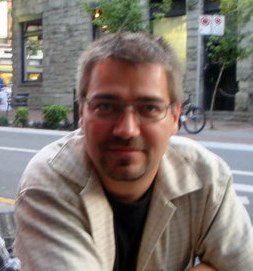 One of my first tasks was to improve the network, security, and database, and on the construction program side, learn how to place construction workers from Europe in companies in Canada. I also learned how to deal with immigration Canada and how to fill out LMO’s to get the proper permit for the candidates who needed one. My program, to explain here for just a second, was a bit different compare to the other INTERNeX programs. The Province of British Columbia was at the time actually looking for construction workers because there was a shortage in BC. This changed when the worldwide financial crisis hit all of us. I remember that one day I was talking to companies about getting more people, but suddenly the same companies were downsizing, and unfortunately, some of them even disappeared. Fortunately for me, I still had my IT and internet marketing background, which eventually led to the position as the Public Relation Manager of INTERNeX. It also helped me get nominated by the province of British Columbia and allowed me to finally immigrate into this great country. In February 2009, I started the first Blog of INTERNeX and became very active in the social media world for the company. First I interested one intern to help me out, and over the years had more and more PR people on my team. I actually counted how many interns I was more or less responsible for in the time I was working for INTERNeX. I had 3 IT, 3 Marketing and over 30 PR interns in the 4 and a half years. I personally think this is amazing. Tim and I became close friends and he was the one “pushing” me to do something besides INTERNeX, something on my own. I thought about that for a long time; I didn’t wanted to leave INTERNeX, but had the feeling that he was right. In the time I worked for INTERNeX as IT and PR Manager I often had the chance to talk to fantastic people who are great partners of INTERNeX. They asked me how I did things in the internet and with social media. In turn, they implemented some of those ideas into their own strategy. 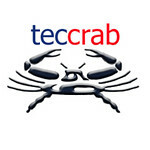 Tim pointed out that I will eventually be in a conflict of interest between everyone, and after a lot of consideration, I finally started teccrab online service inc. However, now I had to take care of two companies at the same time. People who know me know that I don’t do anything half way. If I have a job and a responsibility, I will give more than 100% which led to the problem that I couldn’t work full time for INTERNeX anymore. Tim and I had many meetings regarding this matter and we decided that it might be best for everyone to end a chapter, but also start a new one. Therefore I am sad to announce that I am leaving INTERNeX at the end of September, but also proud and happy to announce that INTERNeX has become my client for internet marketing and PR as well as other IT consulting services. Are you into theatre? Then here’s your chance to witness some great actors attempting to succeed in one of the hardest acting styles… improvising. Get a team together and take part in this years edition of City Chase! 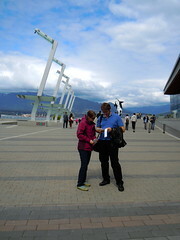 It requires your team of 2 to run around the city of Vancouver and find ChasePoints and it’s FREE. 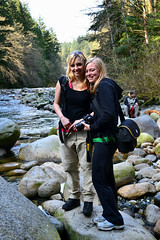 Don’t forget that the INTERNeX PR Team will be taking everyone out to Lynn Canyon Suspension bridge this Sunday! 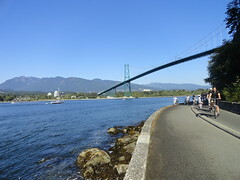 Join us to see some spectacular views in North Vancouver for FREE. Fore more information please visit the Facebook Event. It’s Toronto’s turn to see the spectacular talents of their local and international buskers.. with over 100 performers it’s sure be an exciting occasion. Nature, animals and the wide open spaces of Canada – if you are interested in country life, then our Ranchstay program is perfect for you! Get away from the big city for a while and enjoy fresh air, the countryside and local communities. 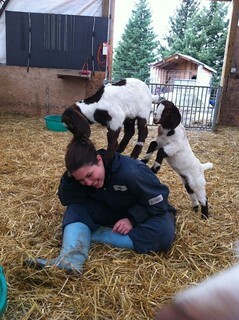 Participating in the Ranchstay program you will be part of a ranch family and live on a farm in Canada. You will join the life of your host family and get to know their lifestyle, help them with their ranch work, their cattle or horses. The family will involve you in their local communities and leisure activities it’s a real cultural exchange! Based on your interests you will be matched with a family that can provide you with the experience you want. 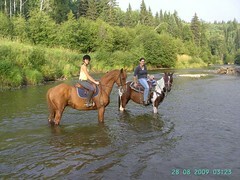 Be a cowboy/cowgirl: you can choose to stay on a horse ranch if you have previous riding experience! 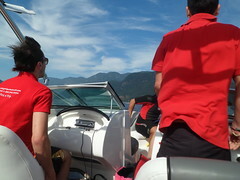 Check out our website for more information about the INTERNeX Ranchstay program or contact us at pr@internexcanada.com. A really hot weekend is coming up and there’s lots to do as always! 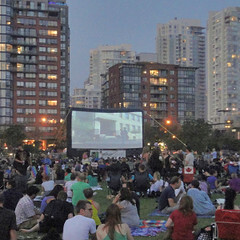 Check out the great events that are on this weekend in Vancouver and Toronto..
Two great musicals are currently showing in Stanley Park right now for Theatre Under the Stars 2012; The Music Man and Titanic! This is the cities second biggest film festival, with 11 days o f the best in independent queer movies, it really is a great event to attend. Sunday is time for wakeboarding with INTERNeX!! Are you ready? For those who still would like to join us, the deadline for payment is today at 5pm! Today is opening day of the popular amusement park with a lot of rides and concerts featuring plenty of famous faces, such as Nick Carter! !